The gap in availability of organs and coverage cannot be met by campaigns and legislation to promote cadaver donations only. There is still a need to encourage live organ donation. In India, Liver and Kidney transplants constitute the majority of the demand for organ transplants with an estimated 200,000 people needing kidney replacement every year and a further 100,000 who need a new liver. However, only 2 to 3 percent of this demand for organs is met. To compound the problem of unavailability of organs for transplant, under the RGJAY only a few types of organ transplants are covered and the insurance amount is limited. The gap in availability of organs and coverage cannot be met by campaigns and legislation to promote cadaver donations only. There is still a need to encourage live organ donation. Here’s the shocking truth about health insurance cover on an organ transplant. Whereas the RGJAY scheme plays a big role in cushioning the vulnerable in society and that there is a marked increase in organ donation. Organ transplant remains a complex, precarious and an extremely expensive procedure. A cornea transplant can cost one about Rs 1 lakh, a heart transplant would set one back an approximate Rs 10 lakhs and liver transplants would cost a minimum of Rs 25 lakh rupees. 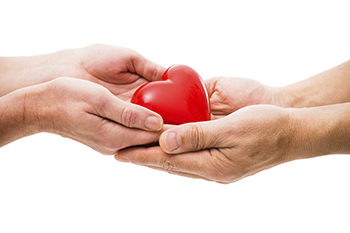 Organ donation and Transplant involves 2 parties; the donor and the recipient. with regard to the receiver, insurance policies are quite clear that they would cover the cost of surgery as well as tests and procedures associated with getting the organ transplanted up to the sum insured. The expenses incurred by the donor, on the other hand, are not covered by the insurance policy. These expenses include Organ screening and compatibility, Pre hospitalization and hospitalization expenses, Organ transplantation surgery, Post surgery and Post hospitalization care. Although many health insurance companies advertise “organ donor coverage”, the reality is that only a few actually cover the cost of hospitalization for the donor. To make matters worse the organ donor is not covered even by his own health insurance plan in the event he owns a policy. In addition, most hospitals offer a “package” for organ transplant procedures. This makes it difficult for the donor to know the exact amount chargeable to the insurance, where there is coverage, and the amount expected to be met from own pocket. The intended step by the government to review the insurance amount and coverage for organ transplant under RGJAY is commendable. However, a more radical review of issues on centering on the welfare of the donor needs to be addressed in order to make significant strides in health insurance for an organ transplant.